Now you can afford buying everything from anywhere in the world! With Crédit Agricole Taقsit Service, enjoy splitting big ticket size purchases to equal installments. 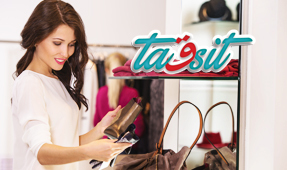 Whether paying school tuition fees, summer trips or buying anything fancy to your delight, Taقsit service offers you a wide range of different plans up to 60 months with low interest rates to choose from what suits you best.